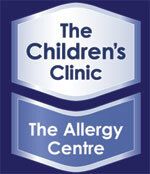 At the Childrens Clinic, Christchurch, we assess children’s growth and development. When your baby is not putting on weight, this is of concern. The paediatric term for this is “Failure To Thrive” FTT. There are many problems can cause this, which we investigate. Sometimes this can be caused by a cows milk protein intolerance (CMPI) and we can help with organising the correct special formula. Gastric reflux and food allergy also can cause of poor growth. We also assess and help with children getting too heavy. These children need investigation and help. If your child is not growing as appropriate (little or big), then your child should have a paediatric assessment.